Learn More Wine About Glasses & Serving Wine. Would you serve soup on a dinner plate? How about a T-Bone steak in a shot glass? No? Then why would you serve your wine in the wrong type of wine glass? There are thousands of variations of wine glasses and most of them actually detract from the wine drinking experience. 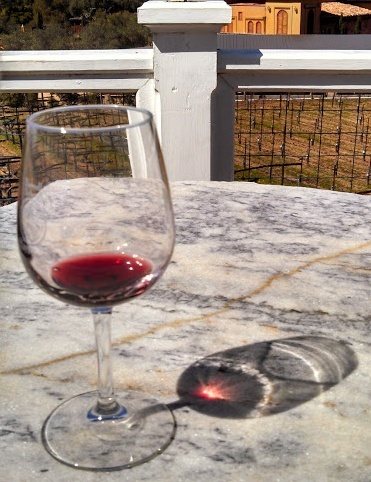 Other than characteristics of the wine itself, few topics provoke as much debate as the importance of the wine glass. Most agree that a clear, large bowl narrowing slightly at the top to concentrate the aromas of the wine are key characteristics to look for in a wine glass. Beyond that, opinions begin to vary. If you’re looking at this page for advice, odds are you don’t have four different types of glasses for drinking different varieties of red wine, white wine, sparkling wine and dessert wines. Also, most homes don’t have sufficient room to store multitudes of different wine glasses. Mine sure as hell doesn’t. 1) A large rounded bowl at the bottom with a top tapering inwards an inch or so from the widest point of the bowl is a great all-purpose glass. 2) Make sure that it is big enough to allow for a generous, six ounce pour with at least two thirds of the glass remaining empty, giving plenty of room to swirl. 3) The lip of the glass should not be rounded over. The theories are endless as to why, but the most credible is that a large lip causes the wine to splash over it and changes how the wine hits the tongue. Taste buds are not uniformly distributed. A well-made glass with a straight, cut lip will allow the wine to gently fall onto the tongue. Wine Glass With A Heavy Lip – Avoid These. 4) A wine glass with a stem for holding. 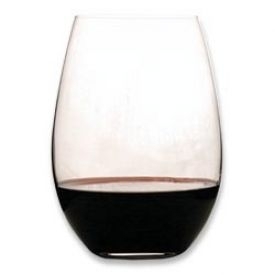 A number of years ago, wine glass producers introduced lines of stemless wine glasses. Many of these are well proportioned and have the correct bowl shape, but without a stem, the drinker is forced to hold the bowl, which causes several problems. First, holding the bowl of the glass heats up the wine, which changes its flavor, usually for the worse. Second, holding the bowl can put greasy fingerprints all over the glass (depending on what you are eating of course). While fingerprints don’t change the taste of the wine, visually it is less appealing while also increasing the chance that the glass can slip from your hand. Having separate glasses for Dessert and Sparkling wines is a good idea if you have room for them. If not, the standard Champagne flute works well. As its name implies, it’s designed for Champagne and works well for other sparkling wines. For Dessert Wines, the Champagne flute also works but just pour a smaller portion, usually about two ounces. If you are drinking out of the typical small bowled wine glass with a lip the size of a speed bump, go to Crate & Barrel or a similar store and buy a decent set of glasses. You don’t need to spend $20 per glass for one of the well-known brands. You should be able to find a set of six for $20 to $30. You won’t be disappointed.